I spotted two of these beetles, both on tree bark at the base of trees. I don’t have any of my references with me, so I can only speculate about the family. Tenebrionidae, perhaps? Thanks for pointing me in the right direction, Jon. Troy, do you have other photos? I’m counting 4 metatarsomeres, but it could be the camera angle and/or lack of details. 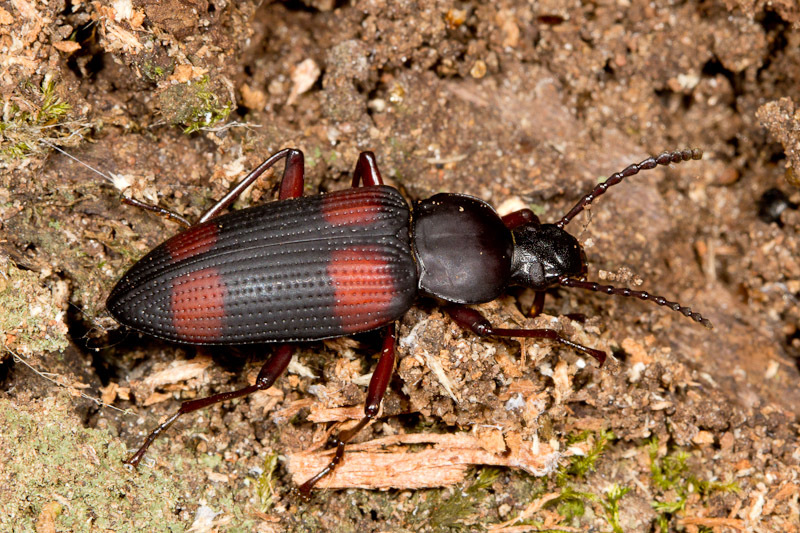 As I’m sure you know, 5-5-4 is the typical tarsal formula for tenebrionids, so your initial guess may be right.